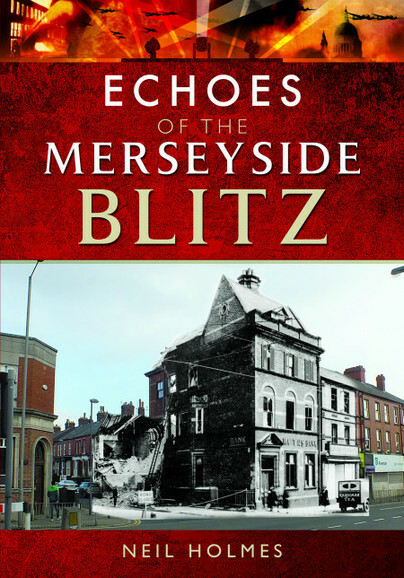 You'll be £6.00 closer to your next £10.00 credit when you purchase Echoes of the Merseyside Blitz. What's this? Merseyside has a long and varied history, one which its sons and daughters are justifiably proud. It has come through many struggles, but perhaps its darkest hour was the air raids that were launched against it in 1940 and 1941. Around 4,000 people lost their lives and many prominent buildings and houses were destroyed or damaged beyond repair. All of this occurred in the space of just 18 months, a period which changed the face of the region irrevocably. Using a variety of new sources Echoes of the Merseyside Blitz draws together a timeline of the blitz for the whole region, showing at a glance what was happening on any given night during that period. Taking carefully selected photographs, Neil Holmes tells the story of Merseyside’s blitz through a series of ‘ghost’ photographs, where historic wartime images are blended with their modern counterpart to create a fascinating window in to Merseyside’s past. Neil Holmes clearly has extensive knowledge of the period of the blitz on Liverpool and the surrounding areas, and anyone who has an interest in the history of the city will find this book fascinating. In addition to the daily record of bombing and the effective 'ghost photographs', there is also a short chapter on 'Spotting signs of the Blitz' which identifies remnants of the period still visible today. I hope that there will be additional titles in this series, as I would personally be very interested to see a similar publications on other locations. Neil Holmes was born on the Wirral in 1979 and still lives and works there as a civil servant. His interest in local history and photography led him to researching Merseyside’s wartime experiences, which resulted in the publication of Liverpool Blitzed in 2011 and Merseyside Blitzed the following year.